While I was glancing through the September issue, I happened upon the article “A Skipper is Born.” I was really struck by the photos. They were so sharp and colorful, but most importantly they really captured great expressions. Good job to Rick Bannerot. Bill – We at WindCheck are fortunate to have many superb photographers among our regular contributors, and Rick is certainly one of the best. 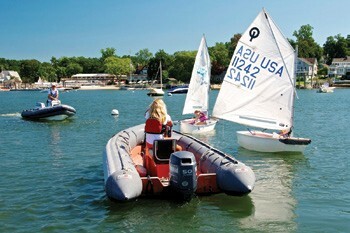 Likewise, the young sailors at Stamford Yacht Club are lucky to have excellent instructors like Julia Wilson.